Our staff Riverkeeper (watershed patrolman and spokesman), Nelson Brooke, and executive director, Charles Scribner, give educational presentations to businesses, churches, civic organizations, schools, and other groups of all ages. This presentation will introduce listeners to Black Warrior Riverkeeper and explain how the organization works hard to protect every citizen’s right to clean water in the Black Warrior River basin. Full of photographs from Riverkeeper patrols, the presentation will expose pollution threats and highlight some of the river’s pristine areas. We hope that audiences will be inspired to become involved in our efforts through memberships, volunteerism, and donations. The presentation can be tailored to fit your time constraints. Specific topics may be requested in advance. Contact us at [email protected] or 205-458-0095 to schedule. 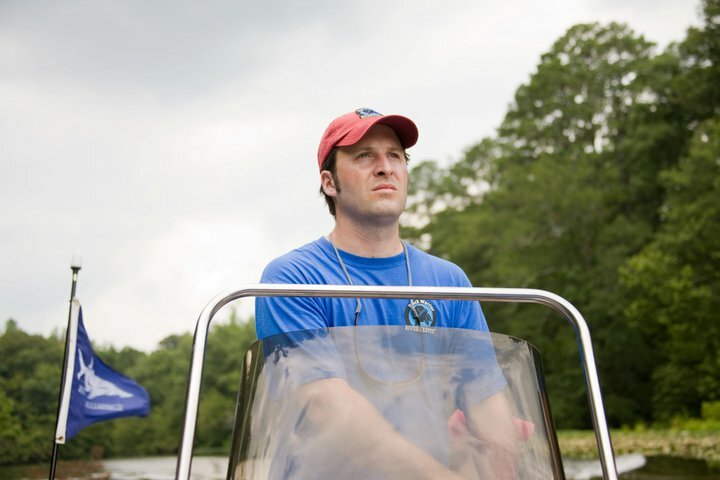 Nelson Brooke patrols the river during the filming of Lewis Communications’ Black Warrior Riverkeeper documentary. Our Riverkeeper Patrol Program is partly funded by the Community Foundation of Greater Birmingham’s generous grants.